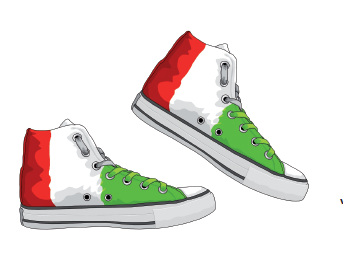 An Italian shoe manufacturer sold merchandise to a French retailer. Despite chasing him up, over € 6,000 of invoices remained unpaid. He contacted Cabinet d’Ormane for collection. A rapid process, from out of court discussions to legal proceedings. Cabinet d’Ormane set up a monthly repayment plan by bank transfer, an approach accepted by the debtor. Having met 3 instalments, he stopped his transfers without explanation. He refused any form of contact, hoping the Italian manufacturer would not take legal action on account of his geographic distance. Provision of an enforcement order by the Commercial Court. Reacting immediately to this radio silence, Cabinet d’Ormane took the debtor to court, with all the supporting documentation: purchase order, delivery advice and invoices. The court issued the enforcement order. Faced with the debtor’s refusal to obey, Cabinet d’Ormane then had the bailiff put a lien on the bank account at an opportune moment, a few days after the summer sales had started. Following this distraint order, the debtor himself proposed paying off the outstanding balance of unpaid invoices in several monthly instalments. The matter ended to our client’s satisfaction. In this case Cabinet d’Ormane knew when to choose the “right moment” to garnish the debtor’s bank account and force him to pay quickly. Another proof of Cabinet d’Ormane’s skills: its intimate knowledge of how different sectors in the economy operate.